PP Tyres is a family run independent business and is situated close to Coventry City Centre. We have special prices running through the year. Please contact us for details. We provide a friendly and professional service to our customers. 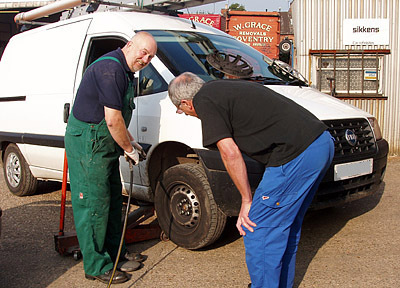 Our tyre bay is equipped with tyre machines capable of fitting all sizes of car and small van tyres. PP Tyres is run next door to Pauls Panels (Coventry) our Body Work, Mot Repairs and Servicing workshop. Pauls Panels (Coventry) has been operating on this site since 1971 and offers the same friendly and professional service as PP Tyres.